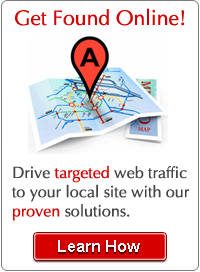 LocalMarketing.ca is a Canadian pioneer in Internet based local marketing and advertising. 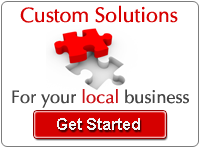 We help Canadian local businesses and organizations connect with local consumers in their area seeking the products, services and information they provide. Ownership and operation of the LocalMarketing.ca Network. The LocalMarketing.ca Network is a fast growing network of more than 50 city guides and directories serving consumers in all Major Canadian cities and many other specialized websites serving the needs of various affinity groups. Providing Search Engine Marketing and Search Engine Optimization services and consultation to local businesses that already have websites but need to further develop and deploy a comprehensive Internet Marketing strategy to effectively reach local consumers. Helping local businesses that do not have a Web Presence to create one through the complete planning, development and deployment of an Internet marketing strategy including complete Website Development and Marketing. LocalMarketing.ca will continue to connect Canadian local businesses with consumers by expanding the size and scope of its Local Network and continuing to provide an expanding portfolio of local search engine marketing and local search engine optimization (SEO) services to local businesses.